Samsung has partnered with Paytm mall to offer Rs 8,000 cashback on the Galaxy Note 8, Galaxy S8 and S8+. 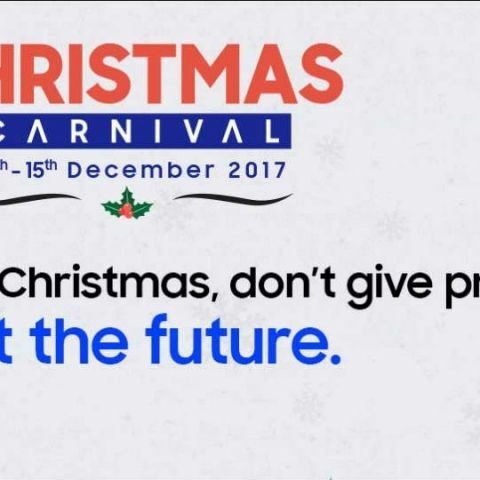 Samsung is hosting a “Christmas Carnival” sale starting December 8 to December 15 on the Samsung Shop. The company has partnered with Paytm Mall to offer a discount of Rs 8000 on the Galaxy S8, S8+ and Note 8 smartphones. The Galaxy Note 8 is priced at Rs 63,900, and the Galaxy S8 and S8+ are priced at Rs 53,900 and Rs 58,900 respectively. Samsung has partnered with Bajaj Finserv to offer a no-cost EMI option on eligible devices. Buyers will get free accidental and liquid damage protection for a year from Cashify. There is also an option by LazyPay, which allows users to buy the device and pay for it later. A 10 per cent MobiKwik supercash is on offer for a range of Samsung smartphones, such as the Galaxy S7, Galaxy On Max, On Nxt (64GB), On5, On5 Pro, J7 and more. The Samsung Gear S3 Frontier smartwatch is available at a price of Rs 28,900, against its previously listed price of Rs 30,799. Samsung is also offering its Bottle Speakers at Rs 4,270 against previously listed price of 4,999. The Level U headphones are up for sale at Rs 2,270 down from Rs 2,999. Samsung’s Level Box Slim water-resistant Bluetooth speakers are available at Rs 5,149 against earlier listed price of Rs 6,699.